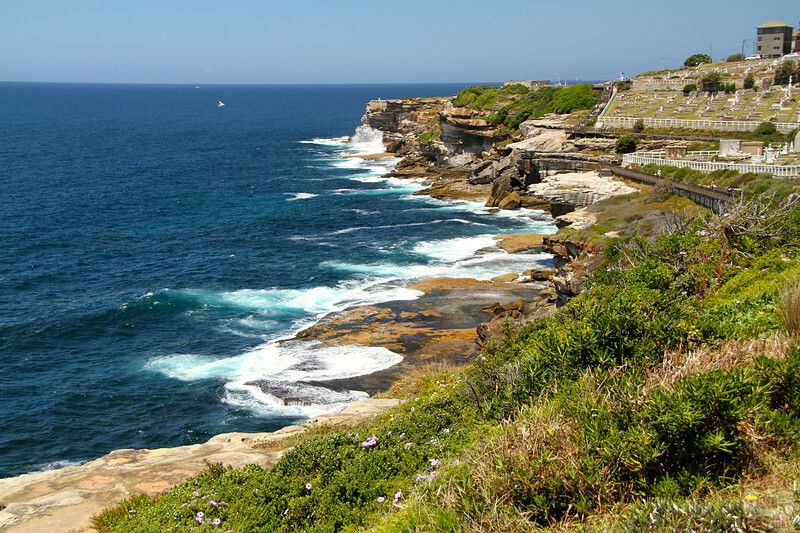 One of the most famous walks in the Sydney area is the one along the coast between the Bondi and Coogee beaches. 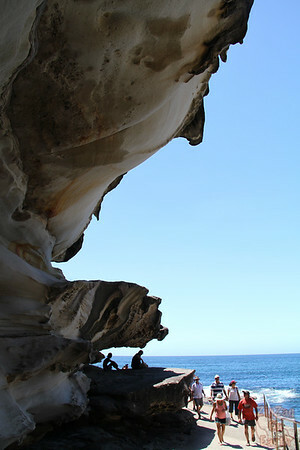 On the way you discover stunning rocks eroded by the sea, dramatic coves and peaceful beaches. 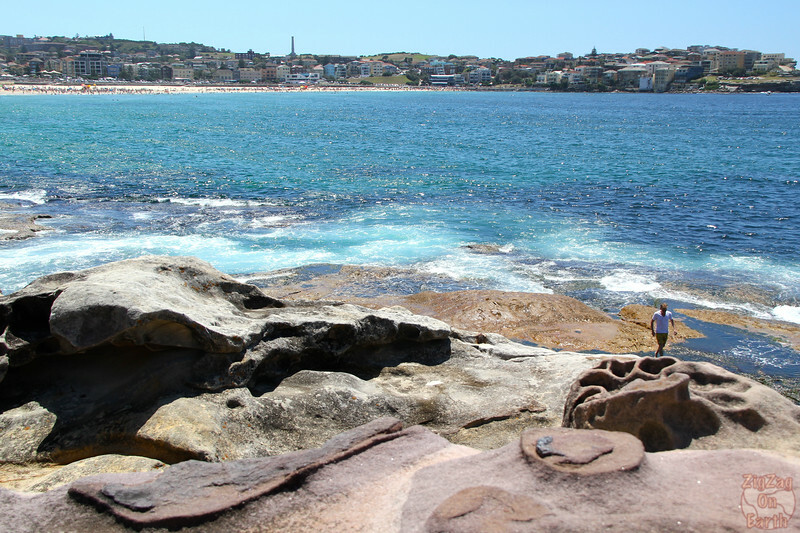 The walk starts from the Bondi beach. 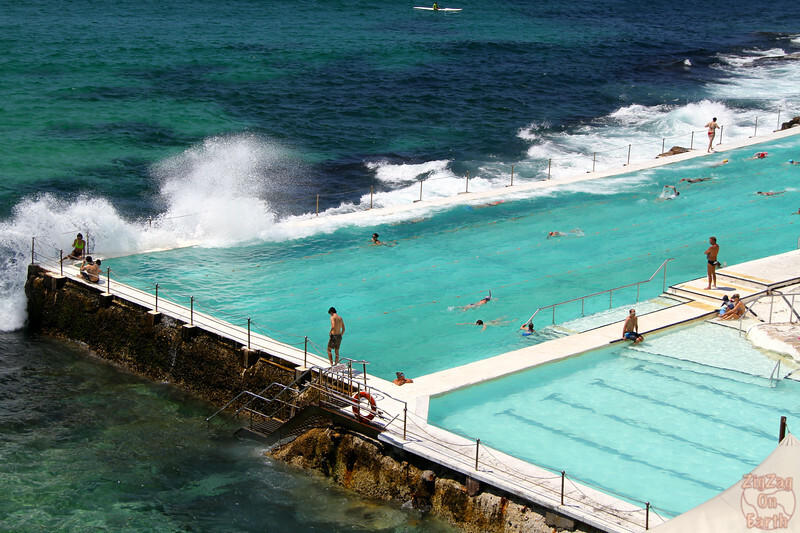 when looking at the sea, it starts on the right end of the beach near the swimming pool. 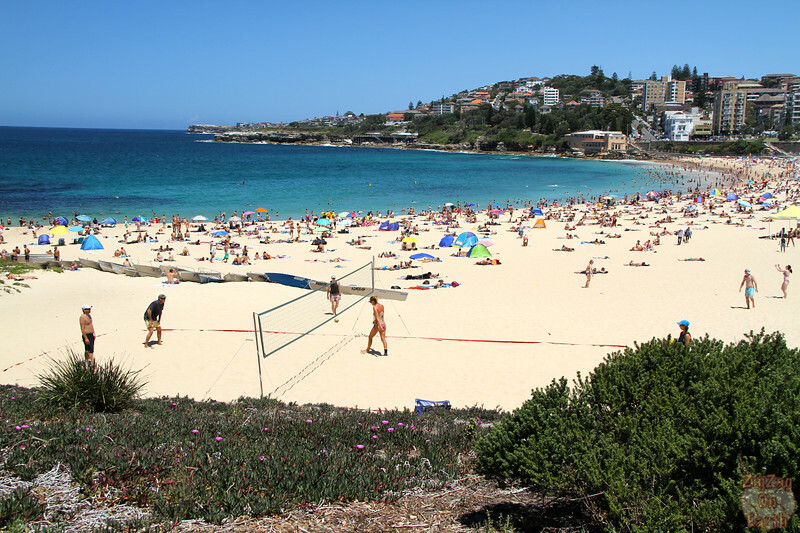 Bondi is the most famous beaches in the Sydney area, especially for surfer. Personally I don't understand why. 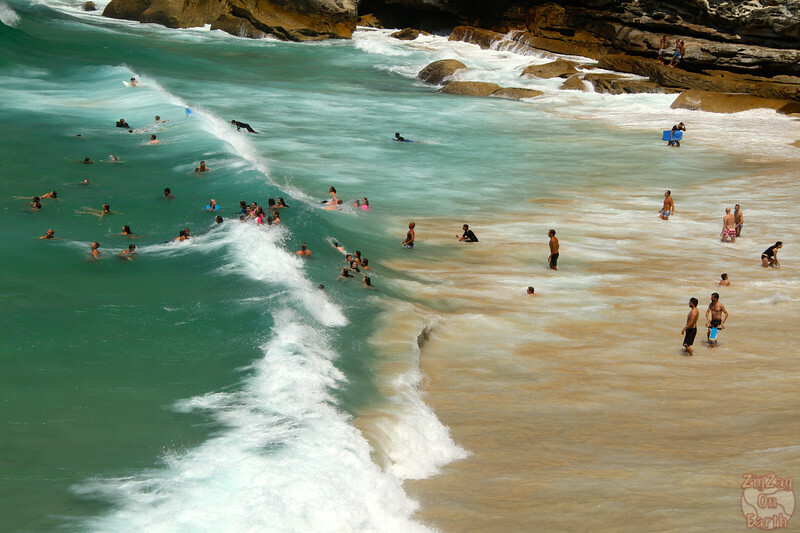 It is surrounded by houses and buildings, it does not have a singular shape and is is very crowded. 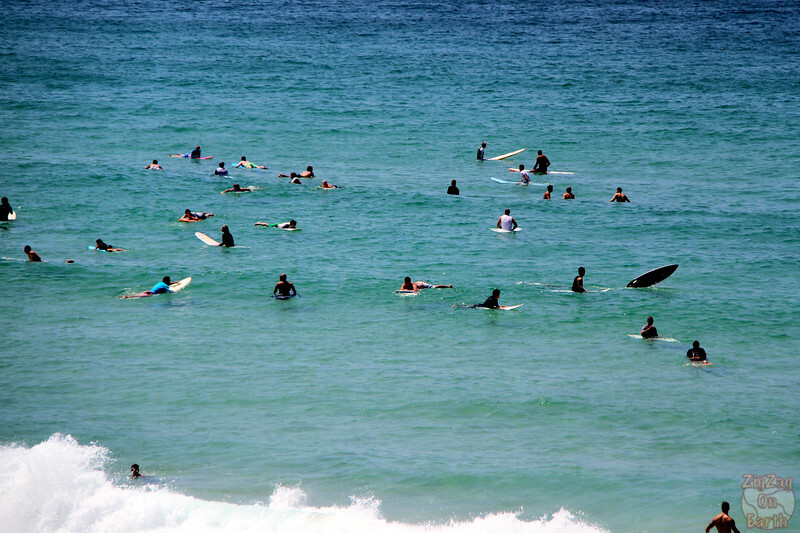 But it seems it is a great place to be seen on a surf board. 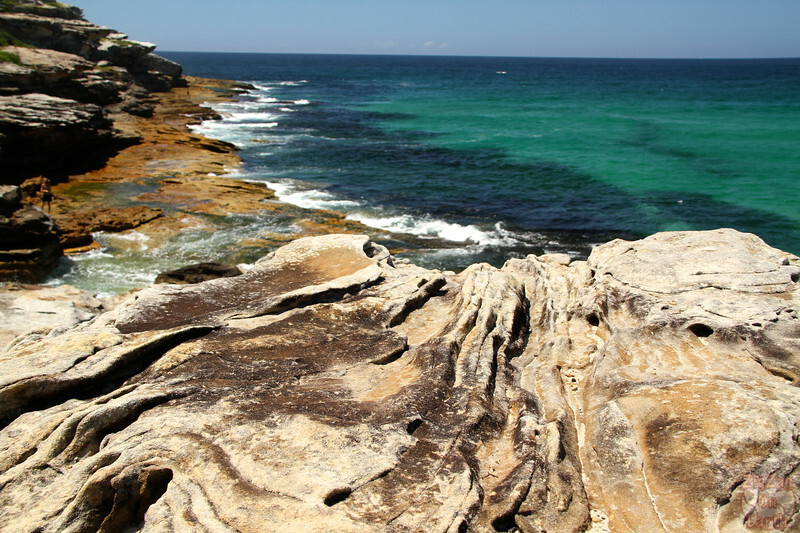 And the Bondi to Cogee walks is one of the main reasons to opt to visit Bondi versus Manly. 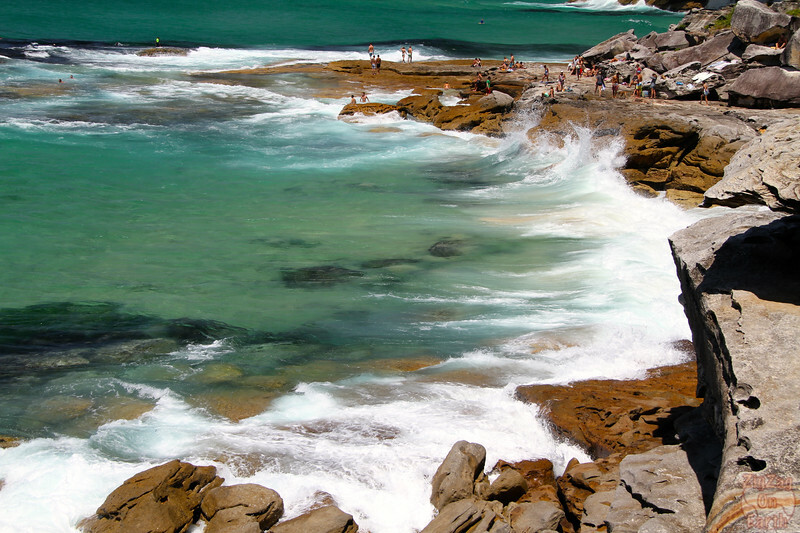 At the end of the beach are the pools of the private club. 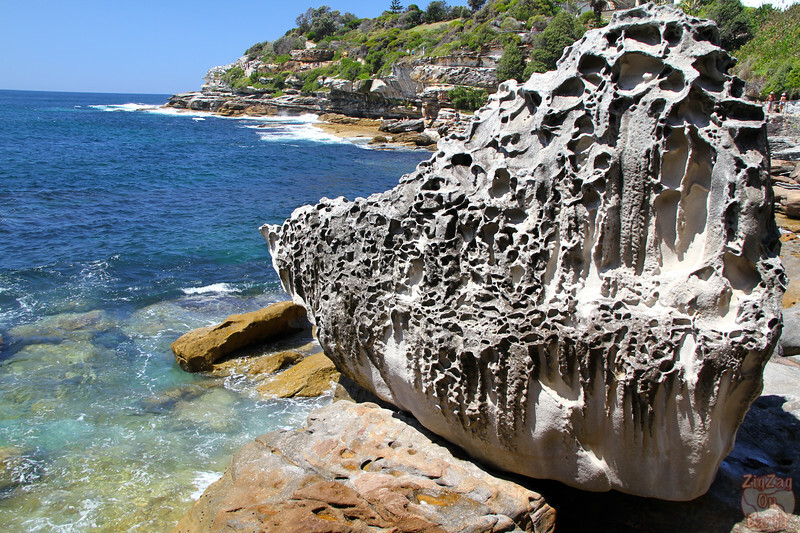 Right after leaving Bondi, you quickly discovered the eroded cliffs and crazy rock formations. It is the busiest section of the walk but also my favorite. 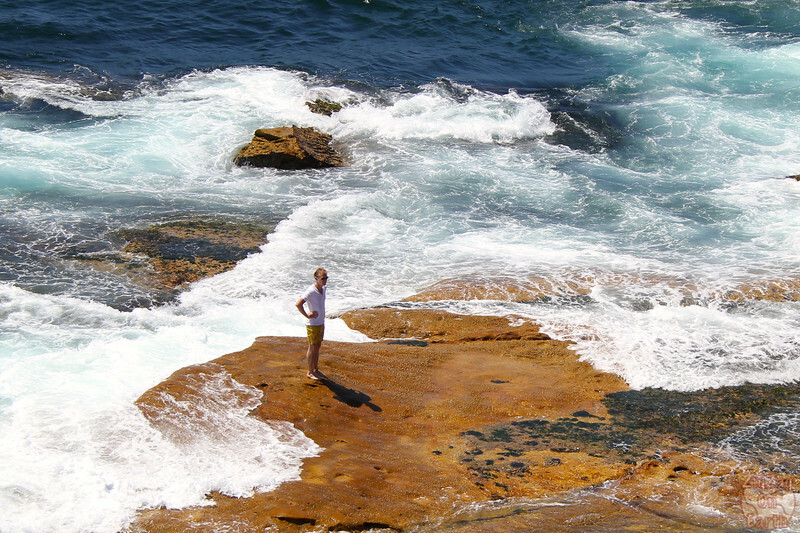 From Tamara to Bronte the beaches also have big waves. 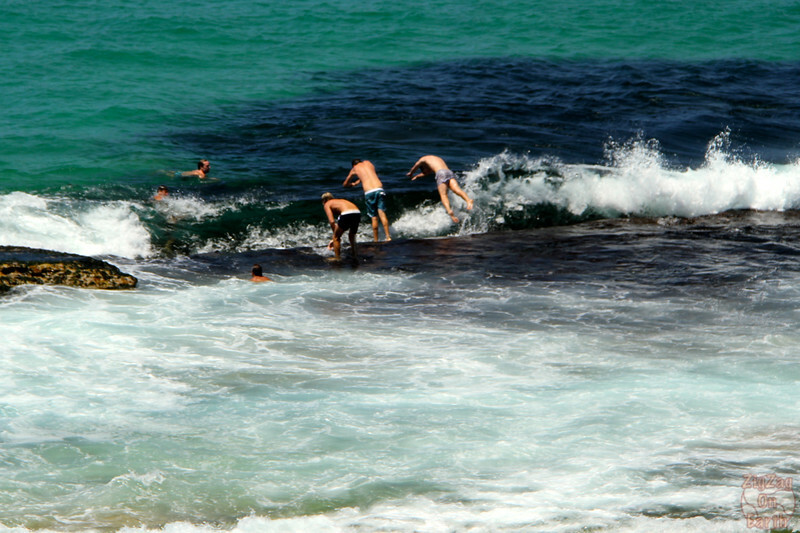 Some people also enjoy swimming from the flat rocky areas. On the way I saw a spot where people were having fun jumping. 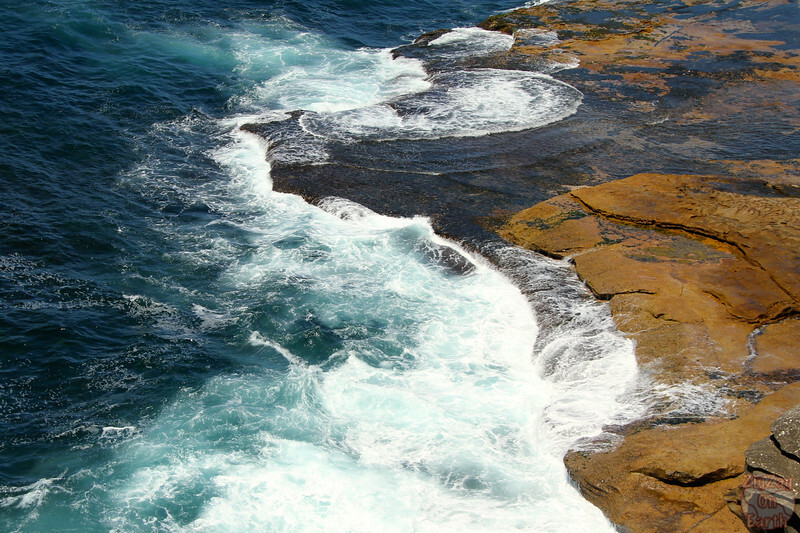 But be careful, this can be dangerous with the waves pushing you back against the rocks. 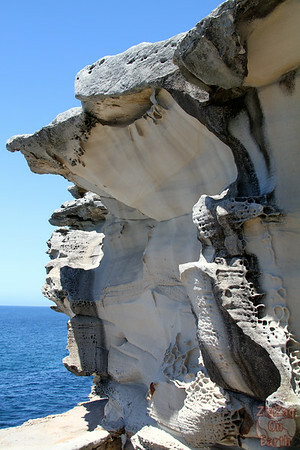 After the beaches, there is a long part of the walk along the cliffs. Part of it is on man-made paths. 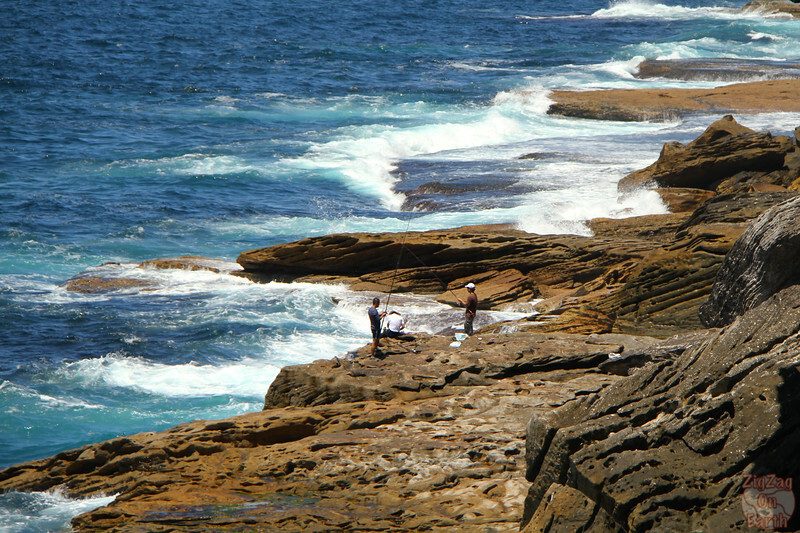 Some people see to always find a way to get down to the water, be it for swimming or fishing. 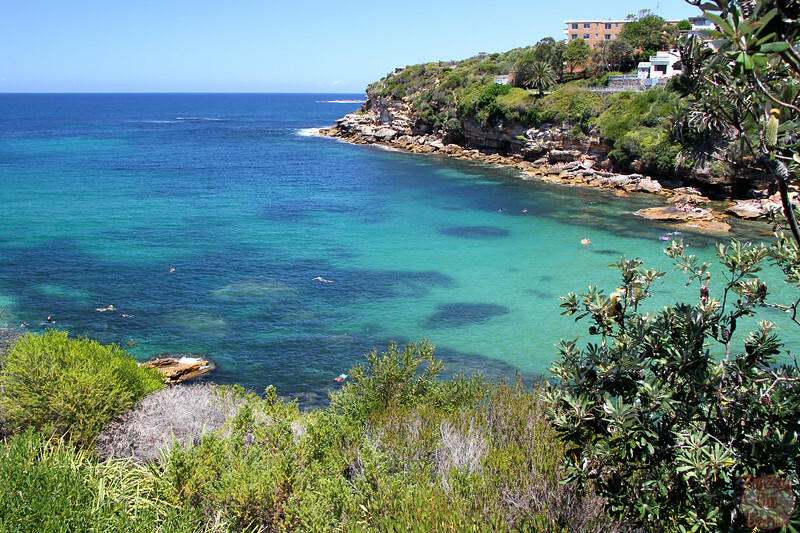 Before and after Clovelly beach, you can find quieter areas which are more lagoon-like. 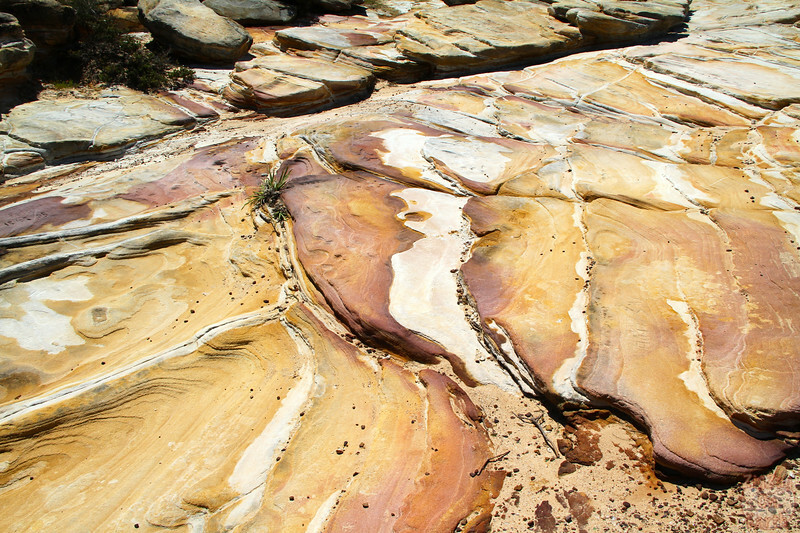 And there are more interesting rocks with colors along the path. 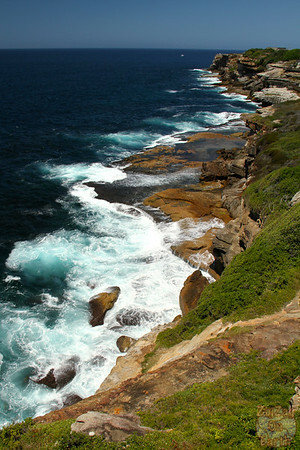 Do you enjoy coastal walks? 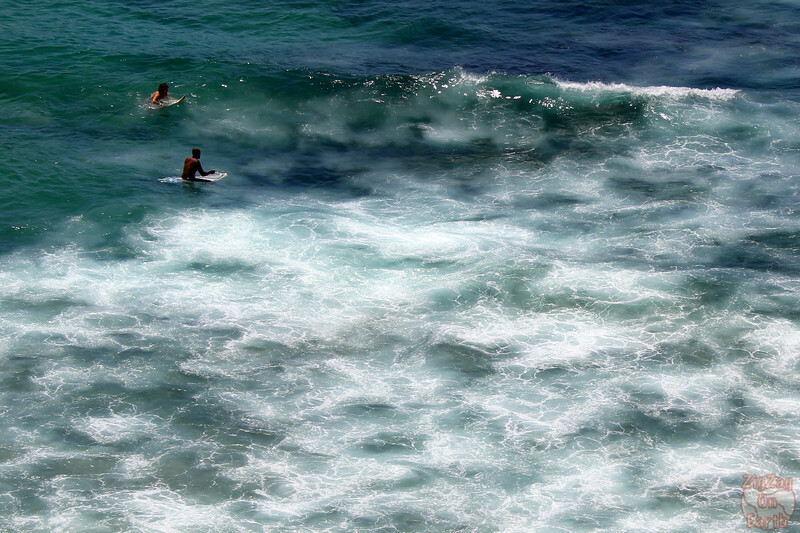 Love the photos, that sea looks so inviting! 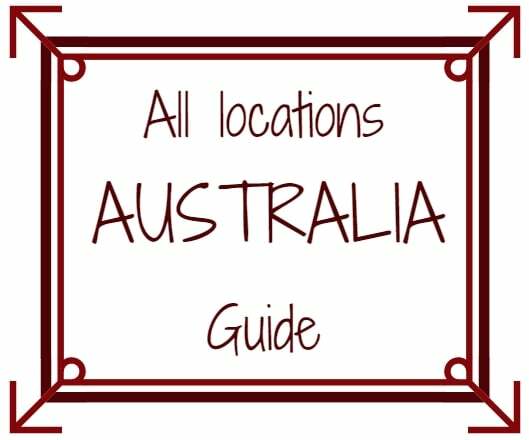 Thank you so much for this, we have just taken over the hostel in Coogee beachfront and I used this to plan our teams walk from Coogee to Bondi, thank you, I am sure without this on my phone I would have missed half of the good stuff!